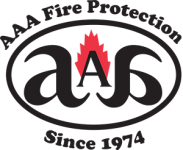 AAA Fire Protection Services is an industry expert within the fire protection service industry. We offer over 40 years of dedicated experience and our local family business provides fire protection and fire suppression services to Berkeley and the entire East Bay Area. Our long service record and outstanding customer service are two of the factors that enable us to remain as an Ansul fire systems installer. In addition, we provide emergency light installation and offer complete schedule services such as our complete emergency light service, which includes scheduled emergency light testing and automatic emergency light repair when problems are found. This dedication to detail helps us help each of our clients remain in compliance. Our service team is made up of highly trained and experienced professionals. They allow us to offer top-notch service at affordable prices. By making sure our staff are experts, we ensure that they do their job right the first time. We don't overcharge for services or bill you for services that you don't need. Our expert staff provides industry-specific services to businesses with special needs. We install paint booth fire systems, test the systems, and repair them as needed. We do this so that our automotive clients are always in compliance. For more information, or to request a quote for services, just give us a call at (800) 543-5556.